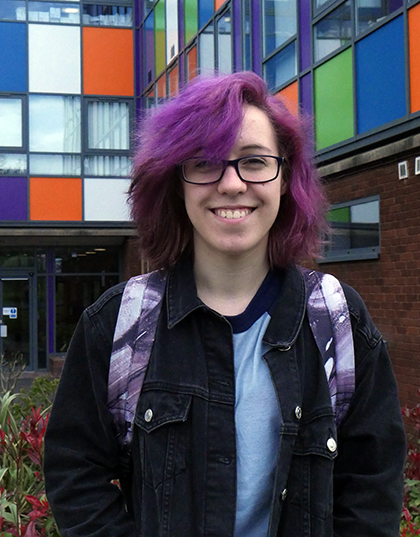 A community-minded student at The Sixth Form College, Solihull has been working with a mental health charity to help young people under the age of 25 years of age. Erin Osborne-Richards (aged 18, from Stirchley) has been working with Forward Thinking Birmingham on a project called Pause. Based in Digbeth in Birmingham, this initiative exists to offer mental health support for young people. In particular, there is a focus on crisis support to give young people help when they really need it, rather than having to cope while on a waiting list for a mental health referral. This drop-in service will allow those suffering mental health issues to find someone to talk to or even join a workshop (e.g. to create some art). The former Queensbridge School student is currently studying Biology, Politics and Psychology at A level. She is also part of the College’s Wider Medical Careers Academy enrichment and hopes that will help her forge a career in Midwifery. She is taking a gap year to build up work experience in this field and hopes to apply to university next year. Click these links for more information on the Forward Thinking Birmingham service and the Pause initiative.